The Truth and Reconciliation Commission has concluded that Canada's residential schools amounted to "cultural genocide" of aboriginal people. 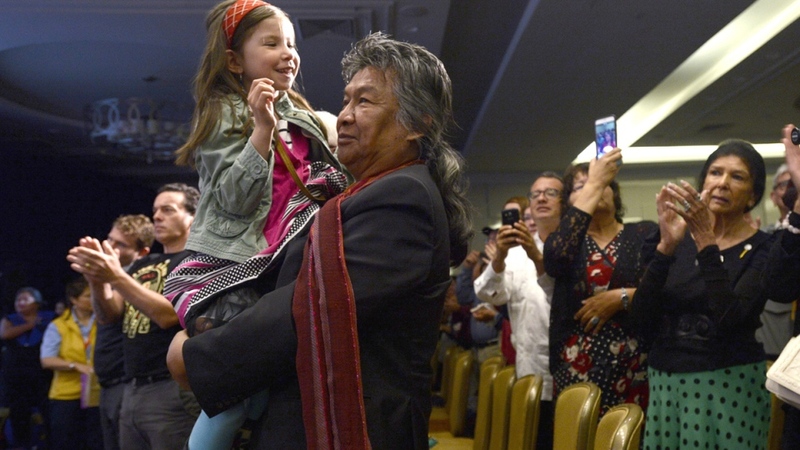 A summary of the report, released Tuesday, says that Canadian officials separated aboriginal children from their parents and sent them to residential schools not to educate them, "but primarily to break their link to their culture and identity." The report describes a "lonely and alien" life for children in residential schools, where aboriginal languages were suppressed, and neglect and abuse were common. "These measures were part of a coherent policy to eliminate aboriginal people as distinct peoples and to assimilate them into the Canadian mainstream against their will," the report says. "The Canadian government pursued this policy of cultural genocide because it wished to divest itself of its legal and financial obligations to aboriginal people and gain control over their land and resources." 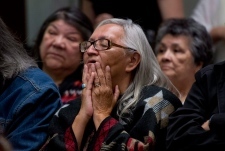 After six years of research and interviews with residential school survivors and their families, the Truth and Reconciliation Commission released its damning summary report Tuesday morning. 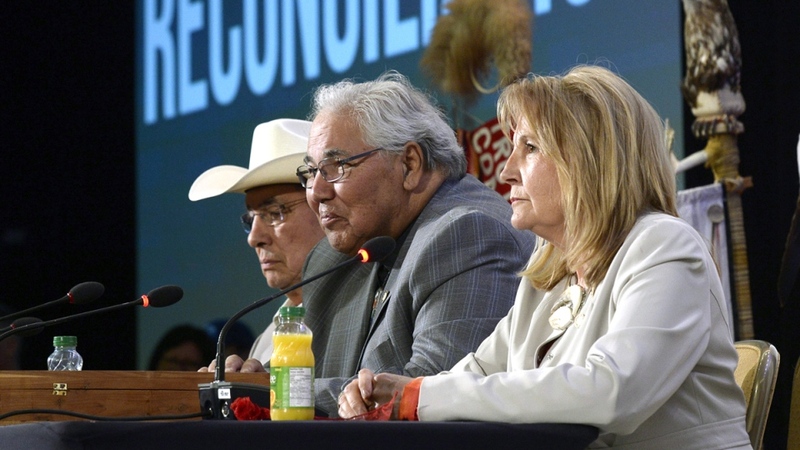 "The residential school experience is one of the darkest, most troubling chapters in our collective history," TRC chair and Canada's first aboriginal Justice Murray Sinclair, told a news conference in Ottawa. 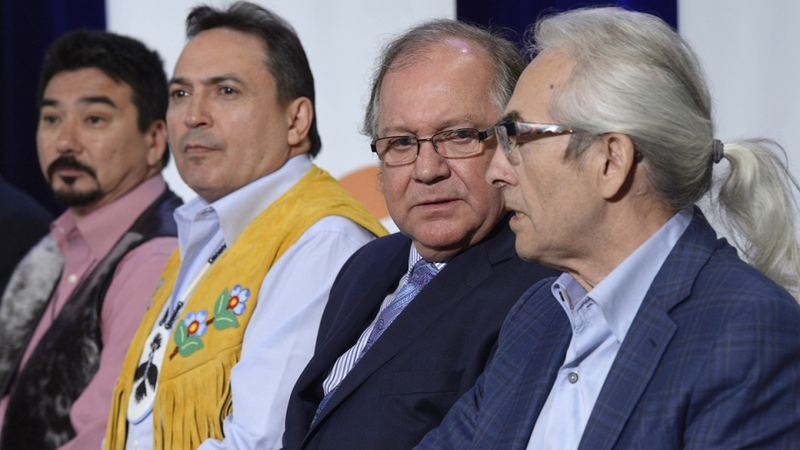 The report calls on federal, provincial and territorial governments to implement 94 sweeping recommendations aimed at reconciliation. The commission interviewed more than 6,700 former students, many of whom spoke on video. An estimated 150,000 aboriginal children spent time in residential schools over 150 years. Approximately 80,000 are still alive. 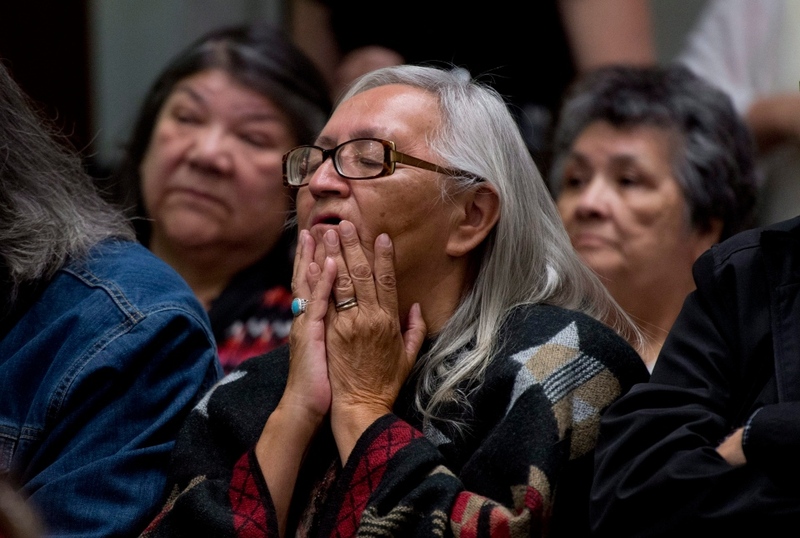 The children who died due to abuse, neglect and lack of medical care were often buried in the schools' cemeteries instead of their home communities, said TRC Commissioner Marie Wilson. Medical care in residential schools was "of the lowest quality" and disease ran rampant, the TRC report found. Some students who were abused ended their own lives. Others "died alone in the wilderness" while trying to escape, Wilson said Tuesday. The commission has been able to document 3,200 student deaths so far, but Sinclair said it is “safe” to estimate that at least 6,000 children died while in the care of residential schools. The survivors' stories will become part of a permanent historical archive. The full TRC report, which is thousands of pages long, will be released later this year. In his speech, Sinclair called upon the current and future prime ministers of Canada to issue an annual "State of Aboriginal Peoples" report, which would track the government's reconciliation efforts. 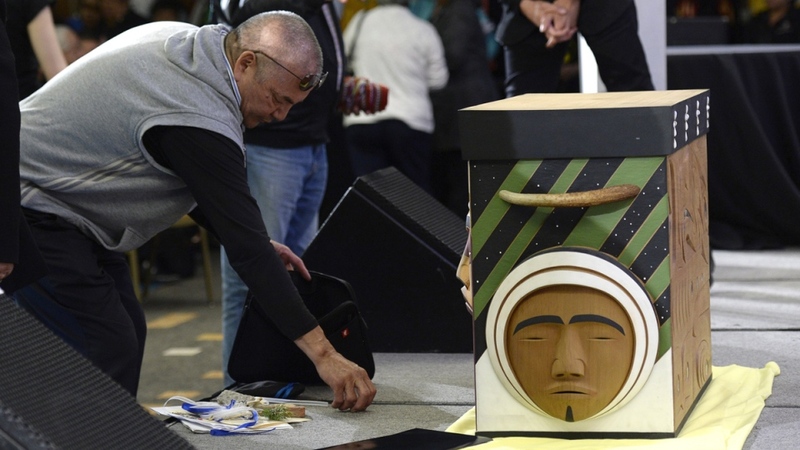 He said that Prime Minister Stephen Harper's 2008 apology for the residential school system has yet to result in concrete actions from the government. "Words are not enough," Sinclair said, adding that the TRC report is Ottawa's "second chance at establishing a relationship of equals." Sinclair later told reporters that he believes Harper’s apology was sincere, but that government bureaucrats didn’t understand or know how to act on it. 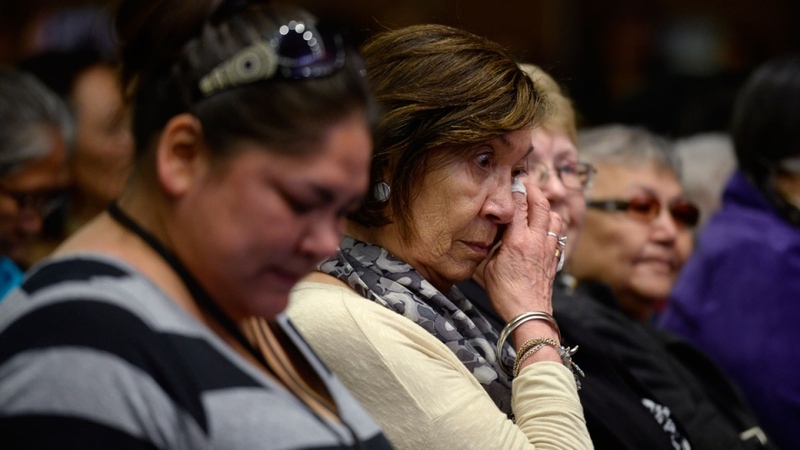 The TRC report divides its 94 recommendations into several categories, including child welfare, health and education. It calls on child welfare organizations to keep aboriginal families together whenever possible and to track the number of aboriginal children who end up in provincial care. It also demands that such placements be "culturally appropriate." 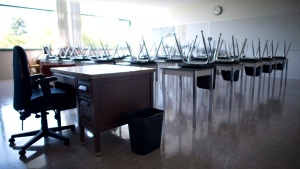 When it comes to education, the report calls on the federal government to work with aboriginal groups to develop a strategy to eliminate "educational and employment gaps between aboriginal and non-aboriginal Canadians." The report calls for improved funding for education and urges Ottawa to enact an Aboriginal Languages Act that would preserve the various languages of First Nations people and allow for university and college diplomas in aboriginal languages. The TRC also asks the federal government to repeal the controversial Section 43 of the Criminal Code, which states that "every schoolteacher, parent or person standing in the place of a parent is justified in using force by way of correction toward a pupil or child, as the case may be, who is under his care, if the force does not exceed what is reasonable under the circumstances." Sinclair also called on the government to establish a national inquiry into missing and murdered aboriginal women, which the Conservative government has already declined. The TRC report's recommendations even extend beyond Canada's borders, and call upon Pope Francis to issue an apology to residential school survivors and their families "for the Roman Catholic Church's role in the spiritual, cultural, emotional, physical and sexual abuse" of indigenous children in Catholic-run schools.